Not Just TV it’s SmarTV! SmarTV is the first interactive TV system that allows your guest’s to access the Internet; connecting them to all their favorite applications including movies, music and social media. In addition, custom property amenities and local attractions can be displayed, all in full HD on the TV in the guest’s room – just like home! Imagine all of these benefits without the traditional up-front installation expense usually associated with a technology upgrade! Our unique model partners with you, only pay when the room is occupied. Choose your experience pick one or all three services and pay only when you use them. In addition we provide free 24/7 support to give you peace of mind and a comprehensive warranty that covers your property as long as you have our service. We do all of this with NO UPFRONT COST TO YOU. 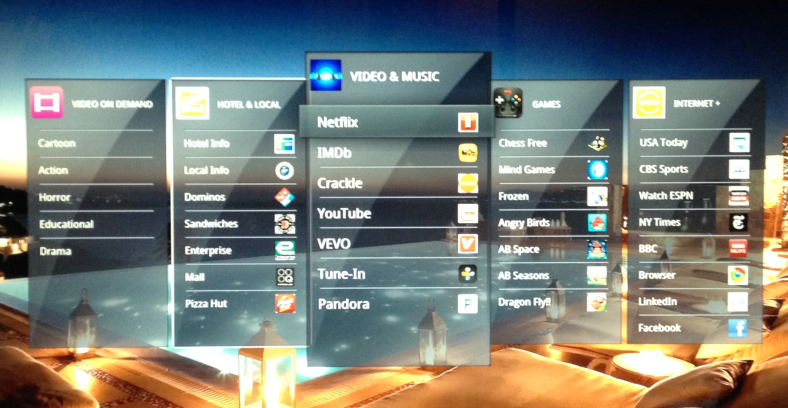 Welcome screen—Your hotel name background and logo, with a custom welcome message to your guest on the TV. Eliminate printed materials—give local/hotel/pool hours etc. right on the TV no need for expensive outdated in room material. 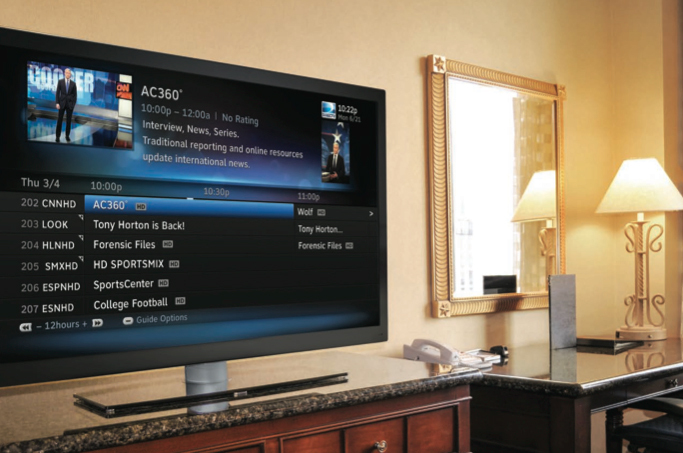 Room service—Allow your guests to view and order right on their TV. Local restaurants—Turn the interactive device into a revenue generator sell space to local area restaurants. Messaging Service—Meeting rooms for customized group or custom message simple to type and produce on-screen. You tell us!—with over 1.3 million apps to choose from customize the experience that caters to your guest/hotel.